Follow us on Facebook and Twitter for the most recent news, announcements and game updates. Don't miss the WGT Community Pinehurst No. 2 Easter Bunny Challenge this weekend, running Sat-Sun (3/26-3/27). Calling all community "Egg-Xplorers!" Well-known WGT player, YancyCan, invites you to a virtual Easter Egg and Bunny hunt this weekend on Pinehurst No. 2. That's right Pinehurst #2 is filled with rare hidden eggs and Team Yancy is dedicating this weekend to find them and wants you to join! Did we mention there's also a GIGANTIC bunny to find?! There are various ways to win an assortment of prizes from Yancy himself – rumor has it that this even includes a BACON BOWL! In September of 2014, a WGT player shanked his tee shot on hole #5 & found an ornate "Easter Egg" next to one of the trees that line the sides of the holes on this world known golf course with such rich history. "Very impressive find! When at Pinehurst, I kept hearing drunken local rumors of the infamous and elusive rabbit and its treasured eggs (i.e. alien pods). Little did I know that our team would have captured such a rare sighting... let alone a hidden treasure on all 18 holes!" What followed was an almost 2 week-long drama filled explorations until all of the 18 eggs & the Easter Bunny were found and shared. The "Egg-Xplorers" would share their stories from out on the course and now it has become, and will stay, part of the epic Pinehurst golf history. Now in 2016, we revisit Pinehurst No. 2 and invite those who have not seen this Easter Bunny (and those who have) to a fun weekend of bunny-themed golf competitions on WGT.com! 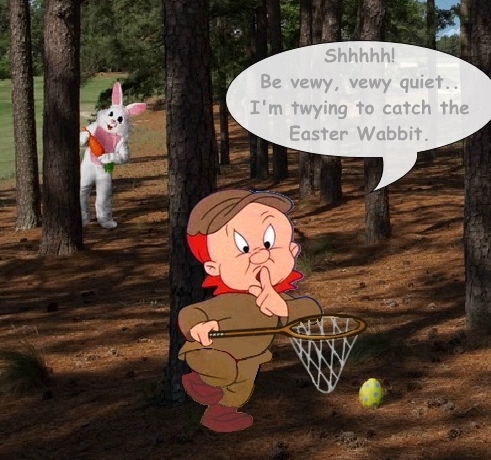 Find that pesky rabbit & post your own Pinehurst No. 2 Easter Bunny screen capture for multiple event chances to win an assortment of prizes - including some random prize drawings everyone who participates has an opportunity to win a prize! How to enter and play in the hunt & challenges: Follow the main thread for this event in the WGT Forums – all entries must be done in the thread titled "Easter Bunny Challenge 2016" -- will be live at 9:00 AM PT! This thread is open to all questions, comments and the likes. Help will be present almost around the clock thru the competitions in main thread. HAPPY RABBITTING AND GOOD LUCK TO ALL!" Special thanks to WGTer andyson for the event image above. 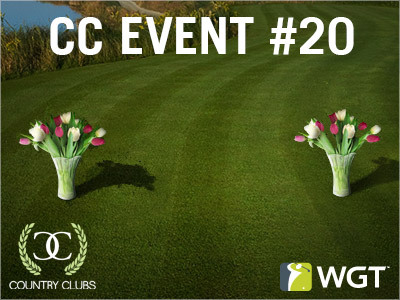 Spring is officially here, so welcome the changing season with your WGT Country Club this week in CC Event #20. Compete against other clubs in CC Event #20 today and tomorrow for in-game rewards, including these lovely flower tees and flags – handpicked by WGTChampion himself! 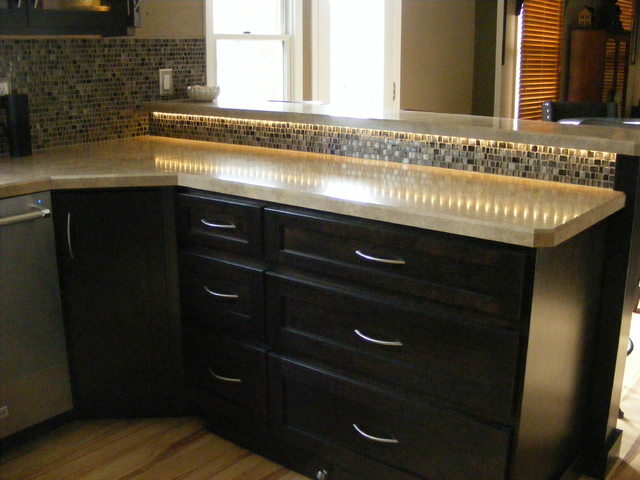 There were pages of great comments about toolman957 – three to be exact – but we had to cut it off somewhere! Known as Mike outside the WGT Community, toolman957 is a retired United States Air Force Veteran of 28 years and says if he could live anywhere in the U.S. it would be Maui, Hawaii, "...where a person can play a different golf course every day of the week." Which makes sense, given he's an avid golfer who has been playing since he was 13 years old. When it comes to traveling the world, he has the map covered, "I've been stationed in Guam, Philippines, Germany, England and Korea. During my military career I traveled many places abroad, including Japan, Saudi Arabia, Netherlands, China and South America. I finished out my career after 2 tours in Desert Storm. I've been in every state in the U.S. with the exception of Alaska, hopefully will make it there someday." 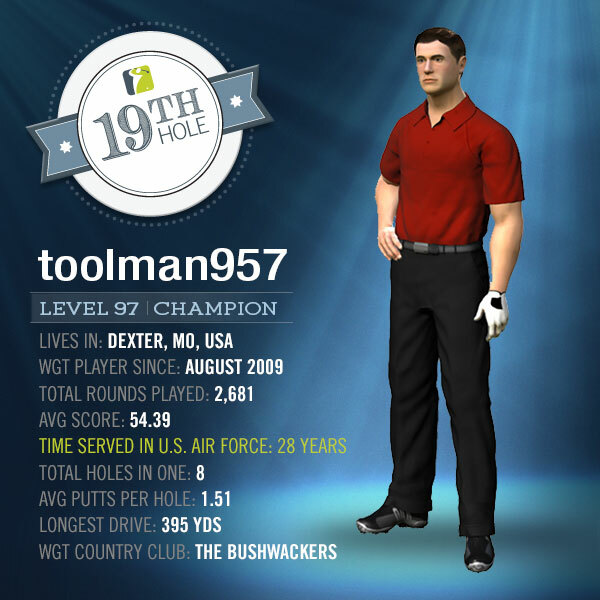 When toolman957 isn't playing Pebble Beach, Kiawah Island or Bethpage Black on WGT you can find him dreaming of playing at his favorite golf courses in real life: Wailea Golf Club Emerald Course in Maui, HI or the Palmer Course at Wildfire Golf Club in Phoenix, AZ. Do you have any advice for new players on WGT? "Practice and practice, ask upper tiers for advice and play higher tiers as much as possible because eventually you will be there – sooner than you might think. Also try not to get too frustrated, everyone has bad days. Most of all, just have fun and enjoy meeting people." Thanks for your service Mike, we hope you make it to Alaska soon! 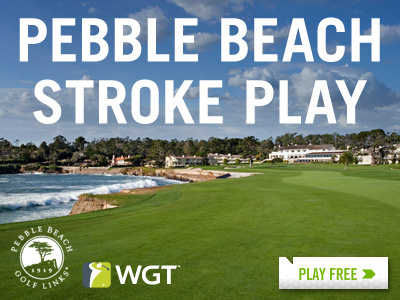 And when you do, we suggest the summer months where you can golf without snow. PS: We reached out to our friends at Settlers Bay Golf Course in Wasilla, Alaska, who have generously offered Mike a round of golf whenever he makes it out there! 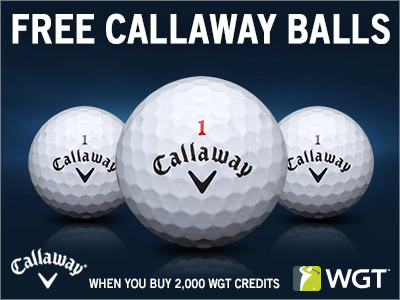 Get 3 free Callaway virtual vapor balls this weekend when you buy 2,000 or more WGT Credits! We're so close to the weekend, don't miss this special offer to get you there faster AND improve your game. These balls from Callaway give you more distance, control and a slower WGT swing meter, plus trace your shots through the air with the added vapor trail. Special offer for players that buy 2,000 or more WGT Credits today through tomorrow (3/18/16-3/19/16) on WGT, get 3 Callaway HEX Chrome+ Vapor virtual golf balls (L39+). Get more distance, forgiveness and lots of style with the newest virtual clubs from Cobra in the WGT Pro Shop. The new Cobra King F6+ Driver is available in four different colors for you to choose from, including blue, green, orange and white. Unlocks at Level 5 and Level 63 for high-level players. 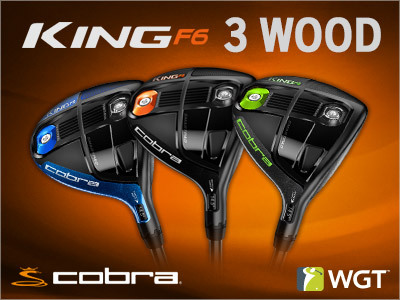 The Cobra King F6 3 Wood gives you distance and a slower WGT swing meter, and comes in blue, green and orange so you can pick your favorite. Unlocks at Level 7 and Level 64 for high-level players. 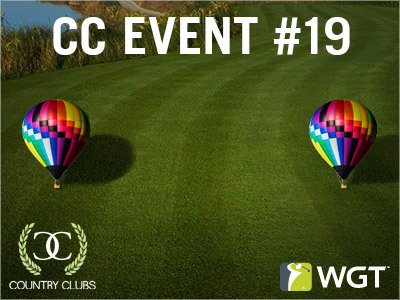 Start your weekend early with a hot air balloon ride (sort of) in this week's CC Event #19, going on now through Fri, 3/11! Round up your country club members to compete today and tomorrow against other clubs for in-game prizes, including these colorful hot air balloon tee markers and flags that are sure to take your club to new heights. WGTer YankeeJim is an original ("OG") player, who has been actively playing WGT and contributing to the forums since 2009. He discovered WGT as a replacement for his old golf game (of 10 years! ), just after the Bethpage Black course had been added to the game and says, "It was quite addicting, especially if you're a real golfer, like I am." YankeeJim lives in New York ("God's Country - Upstate New York" to be exact), about 3 1/2 hours west of Bethpage Black. He says, "Upstate is just like what you see on that course" and that "the first time [he] ever saw Upstate New York [he] knew [he] wasn't leaving." A west coaster's look at New York – if they've never seen it – is New York City. That's what I knew in my mind, and when I was presented with the opportunity to move to New York I wasn't thrilled. I didn't want to live in the big city. Heh, shows what I knew. I flew into Syracuse and drove to Rochester to find a place to live, and was absolutely astounded by what I saw. The drive from Syracuse to Rochester on the NYS Thruway knocked me out. 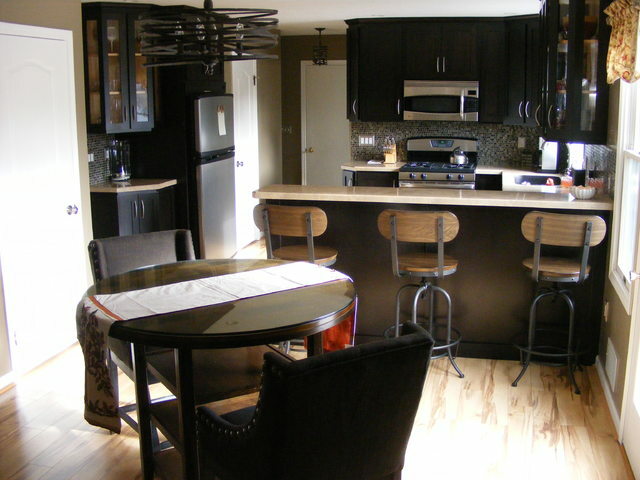 I couldn't believe the cornfields and cows and farmhouses and all the space! This ain't the big city, this is home! That was 36 years ago." So, why do you play WGT? "I became totally immersed in the game and the community is a bonus. I've been a forum rat from the start and totally enjoy the characters and discussions that fill it daily. It's also a great way to share stuff, especially game specifics. I have zero patience with players that blame the game for their shortcomings. I play the same game and I can explain 99% of my results, so I'm sure it's the same for anybody that pays attention." "As such an experienced player, we asked what advice he would give to new WGT players. His advice: "I have always played this game by feel...In fact, I learned early on if you play this game with the same mindset you play a real course, you will do well. Learn your clubs and play smart around the courses. Bethpage Black was brutal with starter gear and I couldn't qualify for the first VUSO because I couldn't get better than 66 and I think the cut was low 60s." Put more simply, "You can't do anything about the shot you just made, pay attention to the next one." "I have always played with the best equipment available. I like the Nike balls because the Vapor carry is close to the rated distance with them. Knowing club carry is the biggest thing to learn, IMO, and the combination makes it easy to play by feel. Judicious use of the spin required." 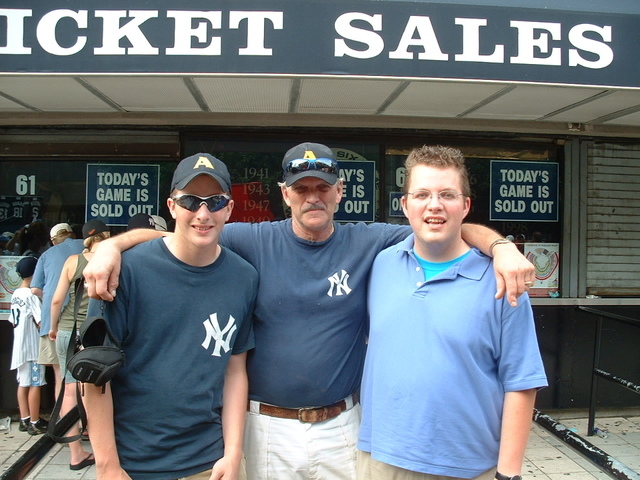 Besides playing WGT and building beautiful cabinetry, you can find YankeeJim spending time with his family, taking care of his wife who lives with MS and cheering on the New York Yankees -- here he is at a game with his two sons! Thanks for sharing, YankeeJim, and good luck in this year's Virtual U.S. Open...make that cut! Be the first to win an exclusive WGT Virtual Tour champion avatar, by competing in the final tournament of the Jan-Mar Quarterly Season in the WGT Virtual Tour. 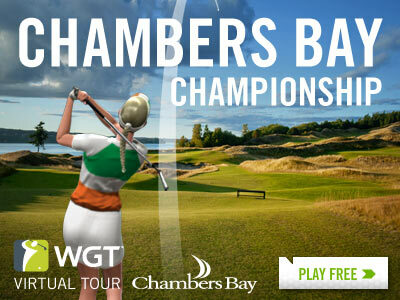 Play the Chambers Bay Championship Major, featuring an unlimited play first round (3/1-3/25) and two single-play final rounds (3/26-3/28 and 3/29-3/31) to determine your final score. The top 70 combined scores in each Pro-Champion tier will split a total purse prize of 200,000 WGT Credits, plus the winners will get to "wear" the new champion crown for the following month. NEW this year, winners of each Pro-Champion tier in both the monthly tournaments and Quarterly Seasons will automatically display new "reigning champion" icons next to their player name during their reign (through the next month). Plus, each Quarterly Season champion (Pro-Champion tier) will receive an exclusive WGT avatar that's theirs to keep. Every player that enters the March Chambers Bay Championship tournament will receive a free Chambers Bay virtual golf ball, just for playing! Play the Swing Into Spring SkyTrak Challenge tournament on WGT and you could win a free SkyTrak personal launch monitor with new WGT integration! Spring is around the corner, so what better way to prepare to get back out on the course than swinging your own clubs? This tournament is going on now and runs through 3/14, so be sure to play now for your chance to win. One lucky sweepstakes winner will be chosen at random to receive a free SkyTrak with a year's subscription featuring WGT Golf. This tournament is open for all WGT players to enter, but only eligible countries can win. See rules for details and eligibility.